Starting a new business can be intimidating. However, Palm Beach State College alumna Angela Yungk and her friend, Jessie Prugh, were up to the challenge when they found themselves unhappy in their careers. Today, she and Prugh are the co-founders of Art Hive Magazine & co-hosts of “Hello Creatives!” podcast. The magazine focuses on the arts, culture and entertainment in South Florida while capturing inspiring celebrity interviews, sustainability issues and diverse cultural happenings around the world. 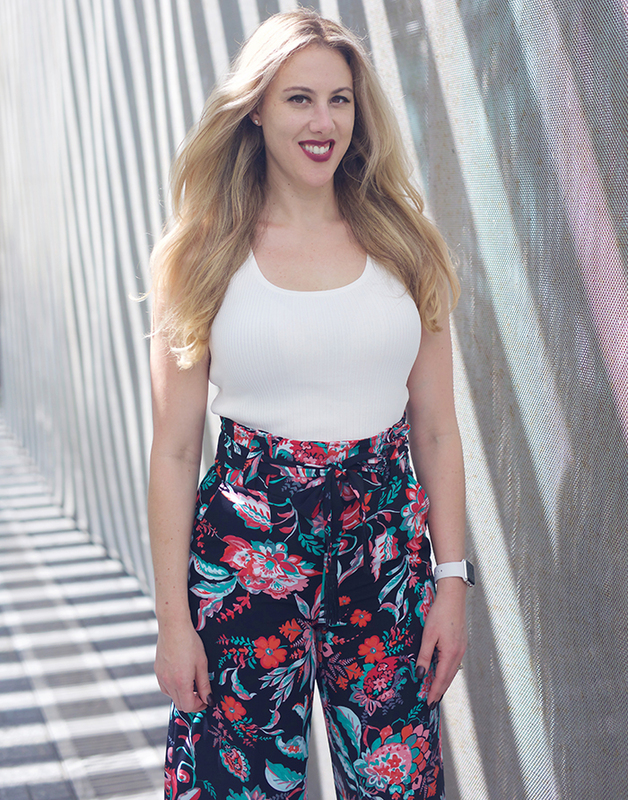 Now happy in a growing career, Yungk, who graduated from PBSC with an Associate in Arts degree in 2006, stays busy elevating her brand and growing a magazine with a positive impact on the arts community. She sat down to answer a few questions about the publication, how to run a successful business and what advice she would give to others hoping to do the same. What did you enjoy about your time at PBSC? I was very involved in the theatre program and really enjoyed being in the show “The Adding Machine” while on campus. What year did you start Art Hive Magazine? We launched the ﬁrst issue in 2012. How has the magazine grown since then? Art Hive Magazine has grown leaps and bounds! It has gone from a simple idea to a publication that is covering national topics, working with Fortune 500 companies and interviewing A-list celebrities. We have expanded into a multimedia company. Jessie and I host a podcast called Hello Creatives! that covers topics on the economy, celebrity interviews and helpful business tips. Hello Creatives! can be found on iTunes, iHeart Radio, Spotify, SoundCloud and GooglePlay. We host networking mixes in collaboration with Capital One that gives us a chance to interact with and meet our community of like-minded entrepreneurs. We are also working toward an immersive art experience that is set to launch in 2020 in South Florida. What are you most proud of with the magazine? My ability to give back to my community. As a native Floridian, it gives me so much happiness to produce a publication that highlights South Florida’s creatives and provide a resource that is both positive and informative. What advice would you give to inspiring entrepreneurs? Be willing to take a chance on something unexpected and follow your gut instincts. I never imagined I would be in the publishing business, but I was willing to step outside my comfort zone to learn new skills and to challenge my abilities. What’s the best advice you’ve received on how to run a successful business? One of my favorite quotes is by Steven Spielberg, and it is something I apply to growing my business all the time. He said the hardest thing is to listen to your instinct. It always whispers; it never shouts. It’s very hard to hear. So you have to every day of your life be ready to hear what whispers in your ear. Following your gut instincts is so imperative in business. It’s not always easy or clear, but if you can hone into your intuition, that will always guide you in the right direction. Where can you pick up a copy of Art Hive? You can ﬁnd it at 100+ South Florida Publix supermarkets, Barnes and Noble bookstores throughout the state of Florida and at 160 hotels from Palm Beach County to Miami. Year round, we can be found at 20 different events throughout South Florida including PBSC’s annual STEAM luncheon. For more information on Art Hive, visit www.arthivemagazine.com. Follow Art Hive Magazine on Facebook, Twitter and Instagram. I love it! Great interview. Congratulations Angelia & Jessie; definitely what our county needs more of in the developing area of the creative arts and the various mediums to engender it. Best wishes for success! Congratulations! How exciting for South Florida to have Art Hive Magazine.